General Data Protection Regulation in Netherlands. 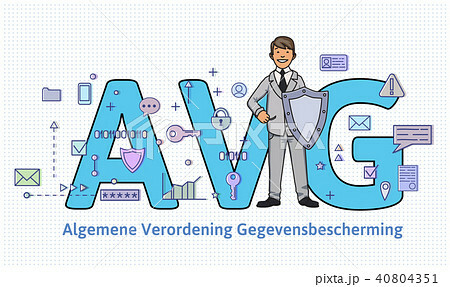 Man with a shield in front of big AVG letters among internet and social media symbols. GDPR, DSGVO, AVG, DPO. Flat vector illustration. Horizontal.